Discussion in 'Buy Sell Trade' started by Dae, Mar 21, 2019. This Epson Stylus Pro has been well used within our print shop. 16,000 plus prints on it and the Yellow Channel has been a issue for the past 6000 prints. 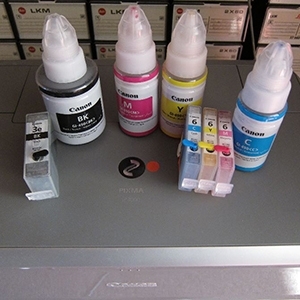 I have been able to get it back with a line cleaner from American Inkjet Systems http://www.americaninkjetsystems2.com/ multiple times. I just don't have the time to keep up with the line cleaning. This printer will most likely need a new damper system, capping station, and wiper. Make a offer. I will ship anywhere in the U.S. We can figure out the shipping once I have your zip code.